Inflating race wheels is a snap with Silca's Disc Wheel Adapter. 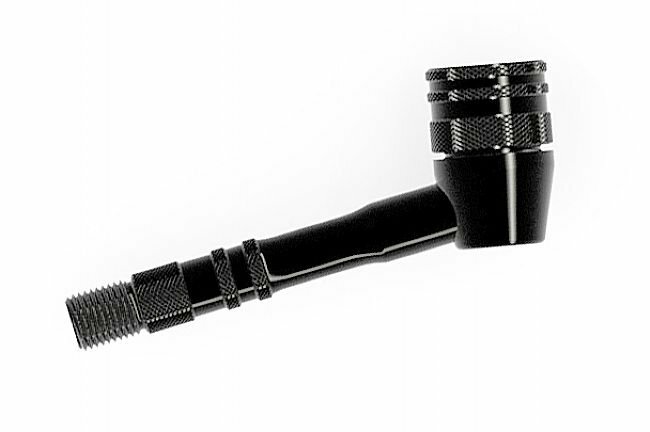 Constructed from 6066-T6 aluminum, the adapter uses Silca's 252 elastomer gasket with 2-stage sealing geometry for excellent durability and extreme high-pressure sealing. The compression head tightens and loosens to allow for nearly 200% gasket adjustment. Threads onto any Schrader pump head. 100% US manufactured.